The presidency on Saturday denied reports that security and anti-corruption agencies have been given marching order to go after retired General TY Danjuma. Some reports had suggested that the federal government, among other “plans”, was looking into the financial records of COMET Shipping Agencies established in 1984 by Danjuma. COMET shipping agencies was founded to primarily act as an agent for Nigeria American Line (NAL). It would be recalled that Danjuma had advised Nigerians to defend themselves before killer herdsmen wipe them out. 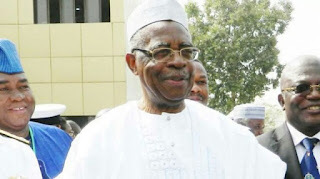 Danjuma, who spoke last Saturday at the maiden convocation ceremony of Taraba State University in Jalingo, the capital, called on the people to rise against “ethnic cleansing”. “This ethnic cleansing must stop in Taraba, and it must stop in Nigeria,” Danjuma warned. Reacting, a source in the presidency refuted speculations that the ex-officer was being targeted. “I can confidently inform you that there is nothing like that”, the source told DAILY POST at the weekend. “Yes, the president heard what he said about killings and that people should defend themselves.“But contrary to claims on moves against General TY, a presidential directive was actually issued against personal attacks. “You would have observed that no presidency official has said anything directly against his (TY’s) view. “So, if some persons are going about saying that this administration is moving against the elder statesman, it is a bare-faced lie”.